Please bring all gl﻿asses that you currently wear. Bring your sunglasses! When making your appointment, be very sure to tell us if you wear contacts. Please be sure to wear your contacts to the exam, and provide us with information of the manufacturer brand, power, and ﻿other par﻿ameters by bringing current contact lens records, box tops, and/or vials. The more information that we have can mean less return visits for you. If you currently do not wear contacts, but would like to be evaluated as a potential candidate, please notify us when you make your appointment, so that we can provide you with needed information before your arrival to the office. There is a charge for the contact lens exam. Contact lens exams usually are not a covered service even with insurance. This fee varies, depending on how much time your specific situation will need with your doctor. Current contact lens patients, wearing their contacts, and with records, will likely need less time with the doctor. Bring your back-up glasses and your sunglasses! ﻿﻿3. Insurance Information: ﻿ Please bring your insurance information and ID cards. Discussion of your symptoms and concerns. Measurement of your visual acuity. Evaluation of ocular muscle movement. Evaluation of the external eye area. Please expect to be at our office about 1 1/2 to 2 hours. 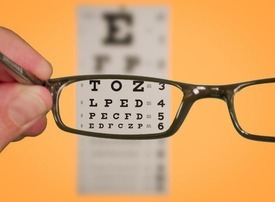 During your complete eye examination, your doctor will want to examine the inside of your eye. This is best achieved when your pupil is enlarged (like looking through a window versus a keyhole!). Dilating drops relax the muscle that controls the opening in your iris (also known as the pupil), allowing the opening to expand enough for the doctor to view your retina and other structures inside the eye. It takes about 15 minutes for the drops to fully work, and about 3-4 hours before the effects wear off. During this time, your enlarged pupil will allow more light in, making you light sensitive. We strongly suggest sunglasses when outdoors while dilated, and will provide you with disposable sunglasses if you do not have your own. Sometimes, your up-close vision is blurred until the drops wear off. Many people drive while dilated, but if you are uncomfortable driving while dilated, or are unsure how you will feel if you have not been dilated before, please arrange to bring a driver. In general, we recommend a dilated eye exam every year. We are contracted with multiple vision plans and medical insurances, and will gladly bill your insurance for your visit and services. We will do our best to find out about your insurance coverage in advance of your appointment, but ultimately, it is your responsibility to be aware of any copayments, deductibles, or non-covered services. Any services or portion of fees not covered by your insurance will be your responsibility to pay. Please know that we sometimes are not aware until we bill them that an insurance may decline to cover a service provided to you.